The growing arts and entertainment Station North district in Baltimore, from Maryland Institute of Art and Penn Station to North Avenue, where the Parkway Theatre, Charles Theatre, BIG (Baltimore Improve Group) and Motor House Art Hub adds the Italian inspired, locally sourced Orto Restaurant on Charles Street. The intimate space has been transformed; dark floors, light walls, mirrors, greenery, and large pieces of artwork. 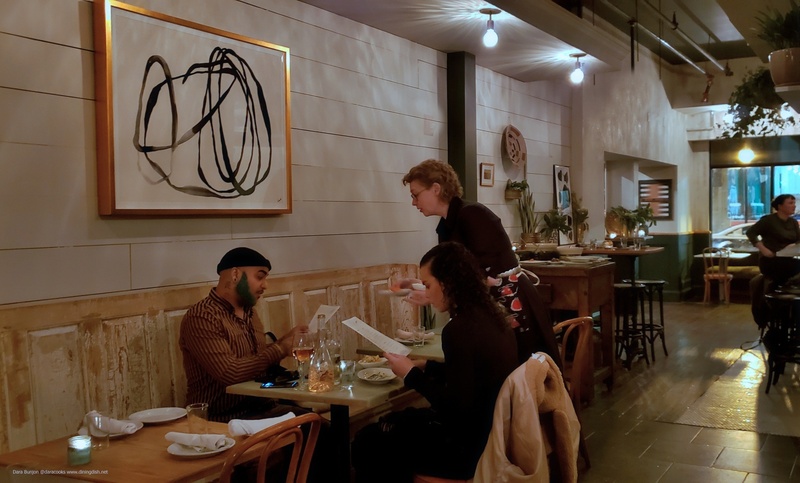 While Orto awaits their liquor license, their bar seems apropos to sit and dine any night of the week for dinner as well as the adjacent mirrored alcove. Meandering beyond the bar is the main dining area with wood banquettes and individual chairs surrounding the light wood finished tables. There is much to say about those involved in the formation of this restaurant’s personality of Italian inspired/locally sourced. There are three key players; the successful and charming restaurateur, Elan Kotz, Executive Chef Stefano Porcile whose experience and passion show on every plate, and Lindsay Crisler, the general manager, who comes to the table with farming and hospitality experience. There are restaurants that are neighborhood favorites and ones that are a destination, Orto, I believe will fit into both categories. As guests during their pre-opening friends and family dinner, my companion and I appreciated the excellent and well-trained waitstaff. Everyone was knowledgeable and able to answer any inquiries about menu items. Chef Stefano even made it out of the busy kitchen a couple times to commiserate with his guests. Let’s get to the nitty-gritty, the meal itself. 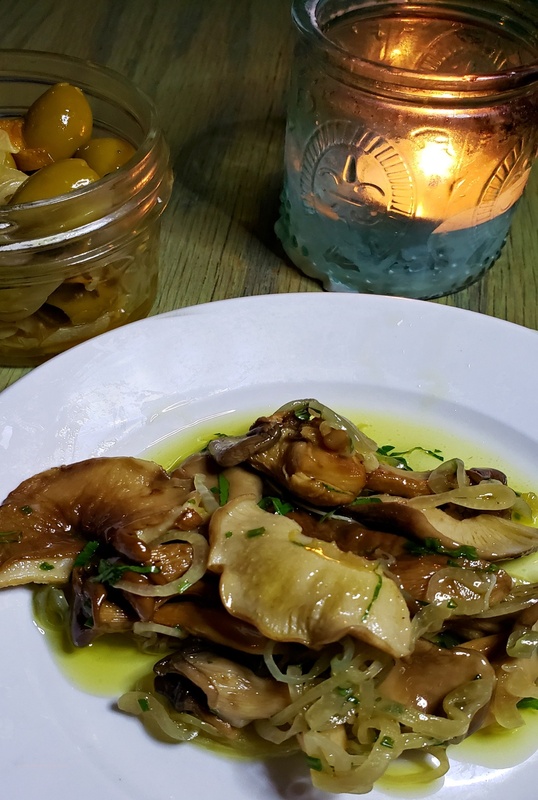 From the “conservas” menu section, where all items are conserved in oil or vinegar, we went with the mushrooms balsamico and the marinated olives with fennel and citrus peel. What a great start to the evening’s dining. 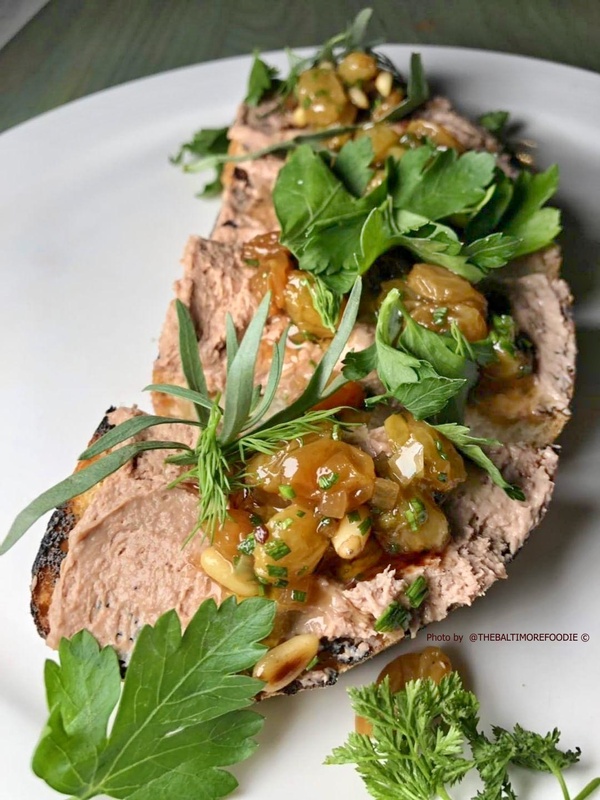 The small plates, the “piccolo” selection, tempted us with salads of charred radicchio with butternut squash, cacio e pepe arancini, rope-caught mussels, but our ultimate choice was the chicken liver mousse crostino, with golden raisins and pine nut compote on sourdough bread. Chef shined with the mixtures of flavors and textures. We sincerely could have eaten another order, but there was so much more to come. 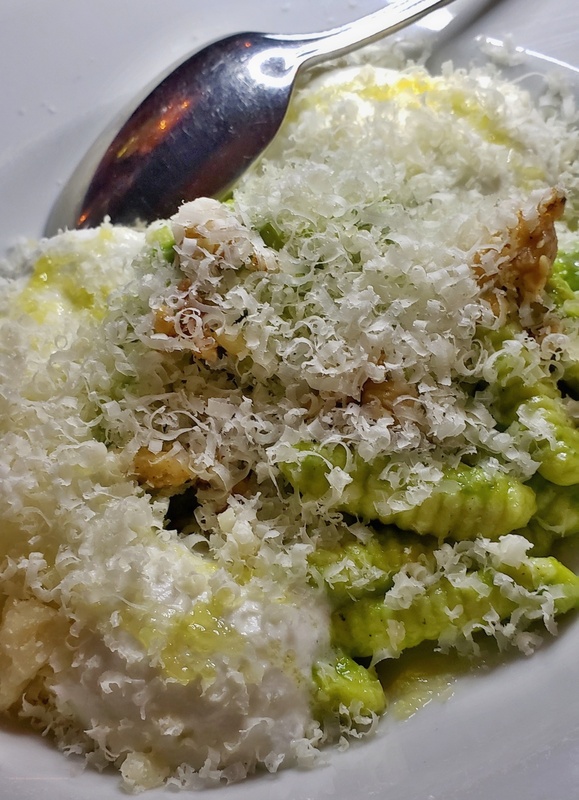 The ricotta cavatelli with pesto alla Genovese, hazelnuts, and burrata was our choice from the “medio” section of the menu where chef’s pasta selections live. The dish arrived with an abundance of light-as-air curls of cheese, the burrata whipped smooth and creamy, and the crunch of the hazelnuts for the finishing texture. Though we shared the conservas, piccolo, and medio courses, we were on to the “principale” course and we each chose a dish; grilled Branzino for my companion and my choice the braised beef. 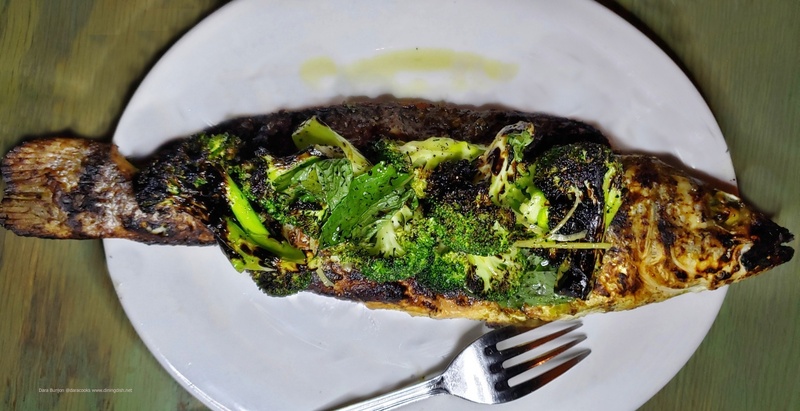 With Branzino, less is more; it was grilled to a moist flakiness, deboned, and topped with preserved lemon and broccoli and mint salad. This European sea bass was so large; it hung over both ends of the plate. The braised beef dish was unique. 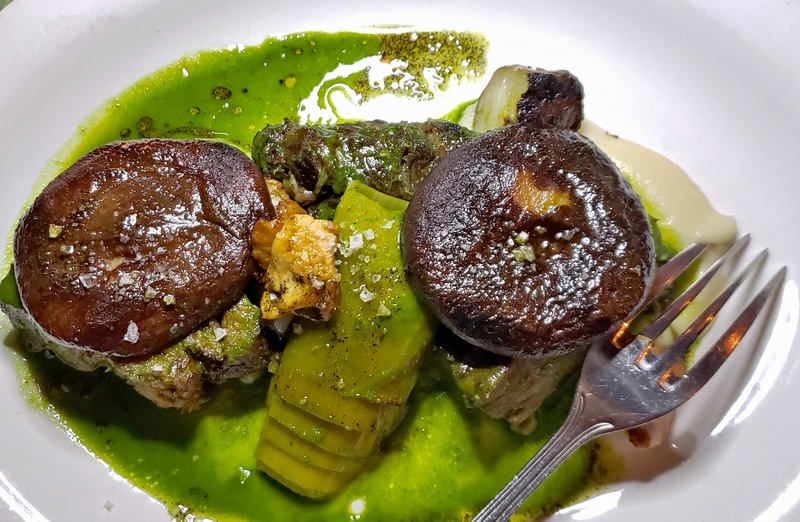 Chef compressed the short ribs into tender cubes, topped with shiitakes, sunchokes, leeks, and finished with coarse sea salt; a hearty winter dish for a snowy winter’s night. 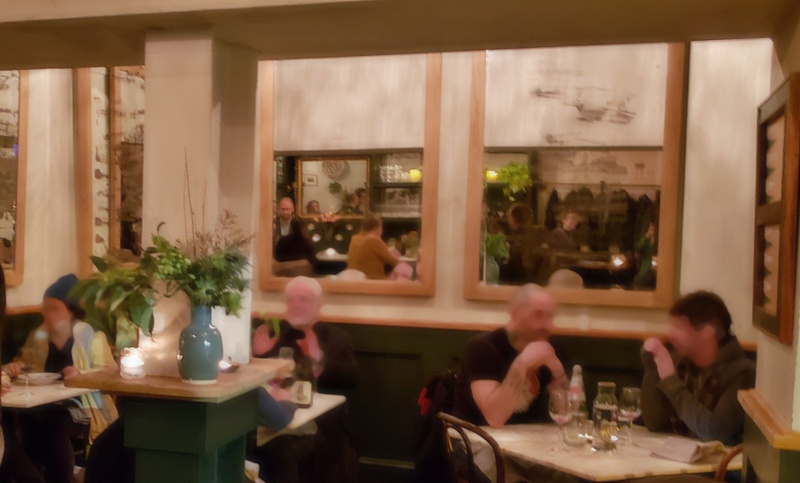 You would think we would be full by now, and we pretty much were, but with the insistence of proprietor Elan Kotz raving about his pastry chef, Jamie Hacker, we indulged in two desserts. 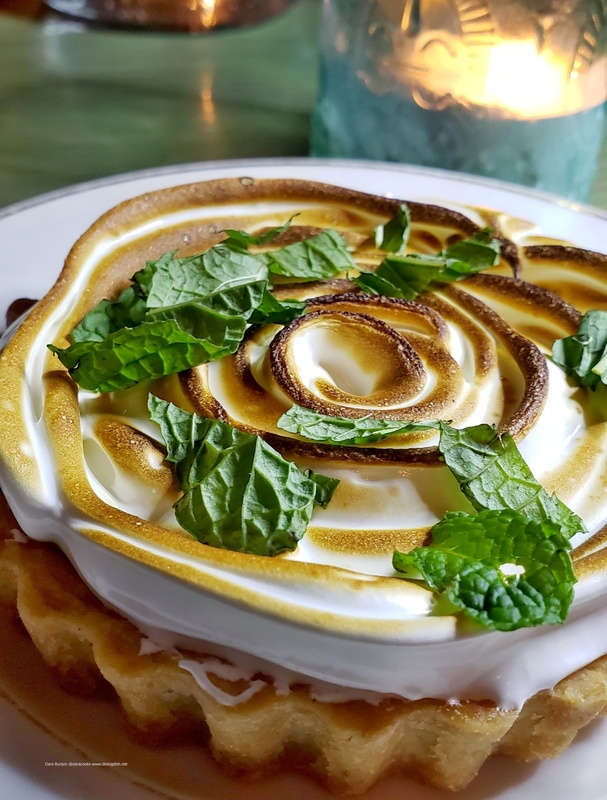 The blood orange tart with the toasted meringue was my companion’s choice arriving with just the perfect golden brown singed meringue. I was able to grab a couple of bites of the citrus tart before my companion made it disappear. It was a toss-up for me as to my dessert choice; olive oil cake, hazelnut tartufo or zeppole. 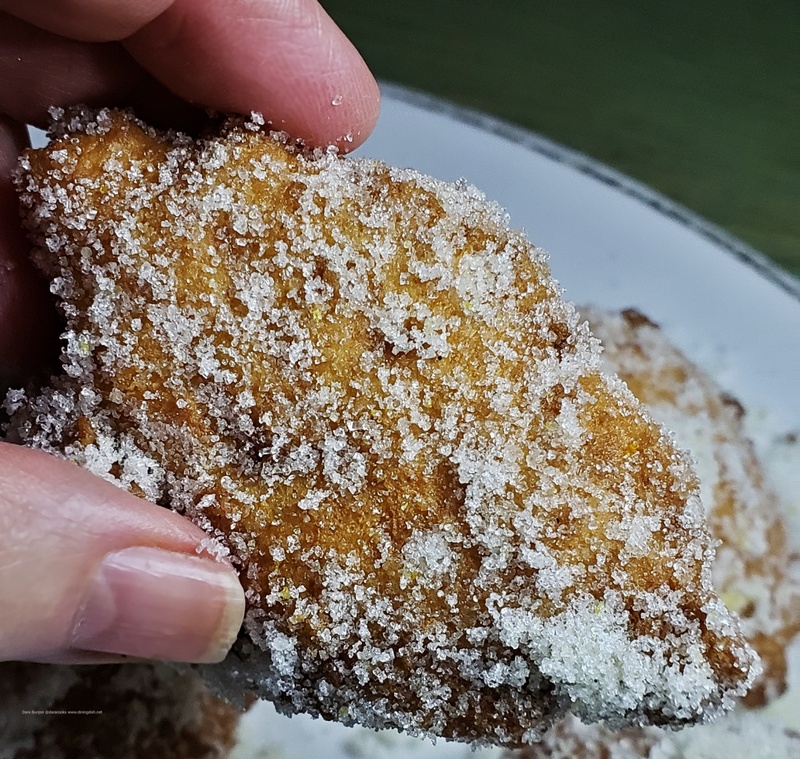 The warm fried zeppole dessert was my choice – think donut holes, but way better with hints of citrus, ricotta, and generously dusted with crystallized sugar granules. 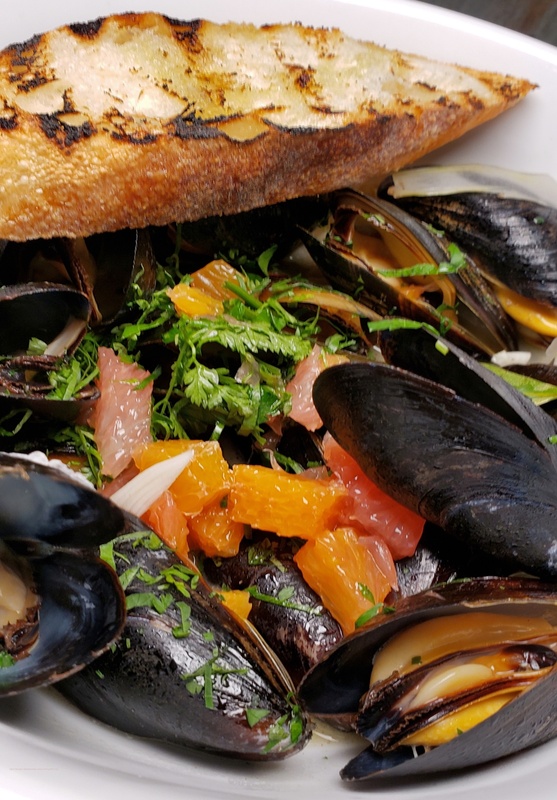 When you are planning to come to the Charles Theater, Baltimore Improve Group, Parkway Theatre or Motor House or just out to dinner, you will want to make a reservation. Open for dinner daily 5 to 10 p.m.